Yes, we have. We cannot test all the spoilers on the market though; we don't have the time or manpower or computer power to go through all of that. We designed the wing to work around the BRZ spoiler and Perrin gurney-flap (we had CAD for this as we did the analysis for them). It improves performance quite a bit; I'll see what I can dig up as far as numerical data and maybe a graph. Ambit RE-08s but he is upgrading to some Enkeis now. Sounds good, if you have any questions regarding the install you know how to reach us . Alright; Paul got me some datas to share. No graphs or charts, just a simple % increase/decrease; which can be used to estimate downforce and drag off our listed chart. Comparisons are to an FR-S trunk (smooth, no spoiler) with only our rear wing on the car. Keep in mind, the percentages are large because the drag/downforce numbers are not very high to begin with when the car only has the rear wing on it. That being said, the trends are there for improved performance. You can make your own assumptions with the various spoilers out for the vehicles past this information. I apologize but we cannot and will not run every spoiler iteration out there for the twins. The time involved is large and no other companies, to date, release even a fraction of the information we release with our products. All of this data takes *a lot* of time and effort to analyze, compile, and release. Thank you very much, Eric! The data is highly appreciated and, I believe, very useful because MANY owners will have the OEM spoiler and, therefore, need to decide whether they want to remove it or add the Verus wing on top. 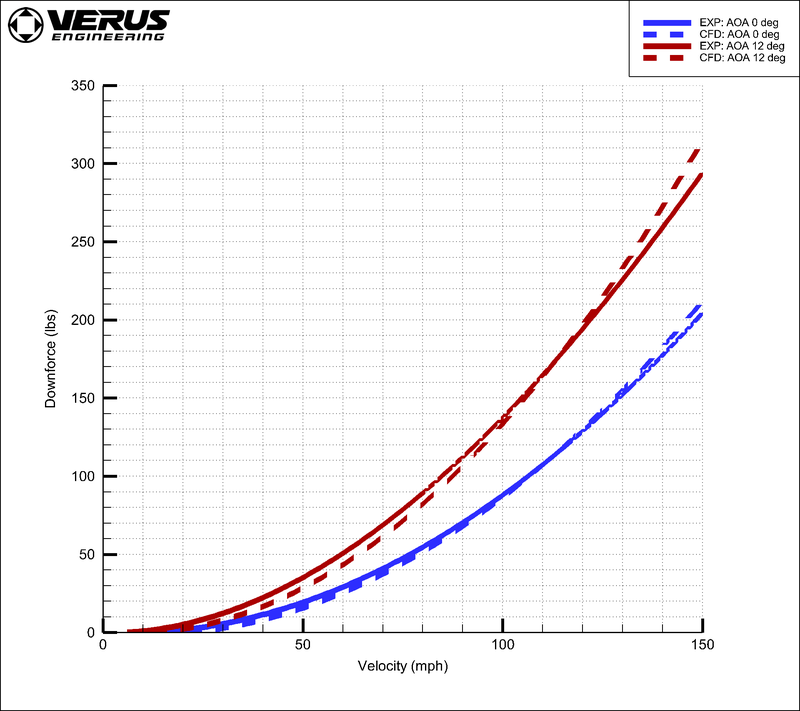 You say that comparisons are to a smooth FR-S trunk (with no OEM spoiler) but with your Verus wing installed, correct? 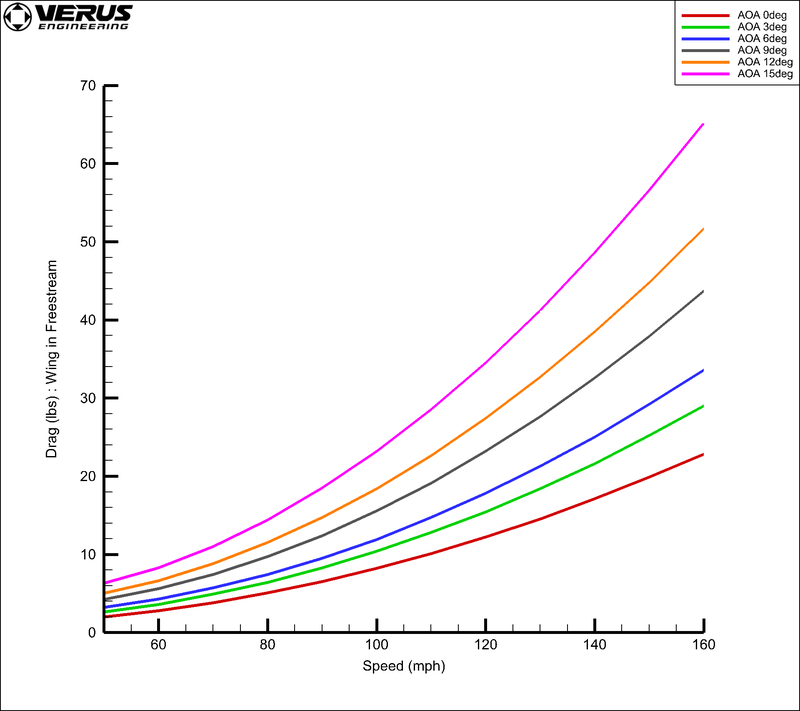 This means that your wing on the FR-S generates 7% less drag and 26% more downforce than the "BRZ Spoiler Only" (and, hopefully, not vice versa)? So your wing is an improvement in every respect (except for the somewhat unsual optics)? If yes, I do not fully understand the data re "BRZ Spoiler with Gurney Flap". 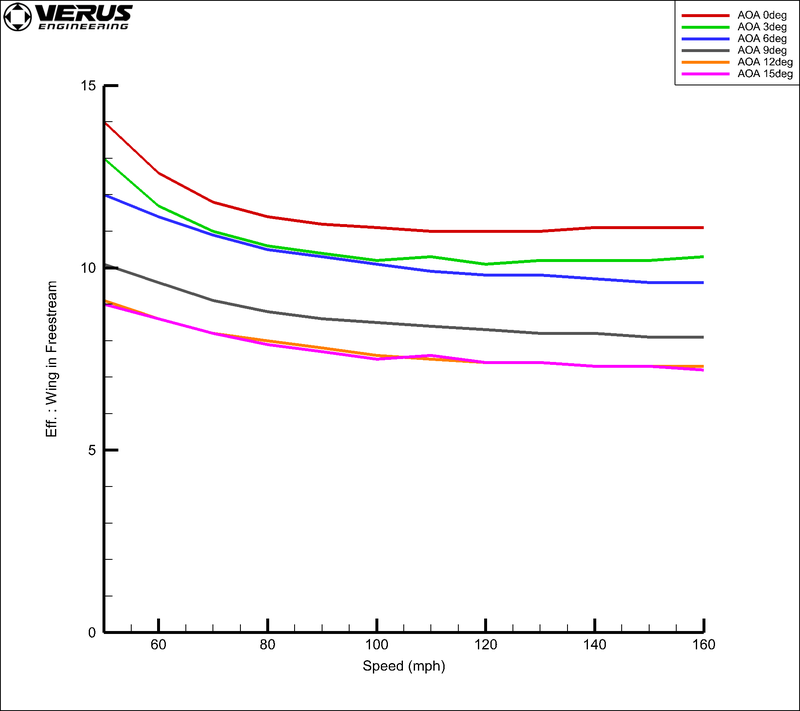 Does your wing on the FR-S produce 10% more drag and 58% more downforce? If yes, would this mean that the gurney flap significantly reduces drag (compared to the BRZ OEM spoiler only) but also significantly reduces downforce (which would be strange and indicate that the gurney flap is a flawed design compared to the BRZ spoiler only)? Or could it be that the data for the "BRZ Spoiler with Gurney Flap" is actually the data for "BRZ Spoiler Only"? Last edited by Tiz; 06-21-2018 at 05:22 PM. Baseline is the wing with no spoiler. The data sets are the wing AND a spoiler/gurney flap. So if you have the wing and add the spoiler you get less drag and more downforce. So it's good to have the OEM spoiler with the wing. This is how I interpreted it. The question for Eric is: why does it make these changes? Does the stock spoiler just stack with the wing or do they work together to make something greater than their individual units? With OEM GT wing + Gurney Flap (the black rubber piece picture below) result in 10% increase in drag & 58% increase in downforce with Verus Rear Wing. The baseline numbers are FRS, no spoiler trunk, with our rear wing on it (which we have a ton of graphs/data for in the information packet). There is a 7% decrease in drag, 26% increase in downforce when you add the BRZ spoiler *with the rear wing* to the equation. There is a 10% increase in drag, 58% increase in downforce when you add the BRZ spoiler, with the Perrin Gurney Flap, *with the rear wing* to the equation. 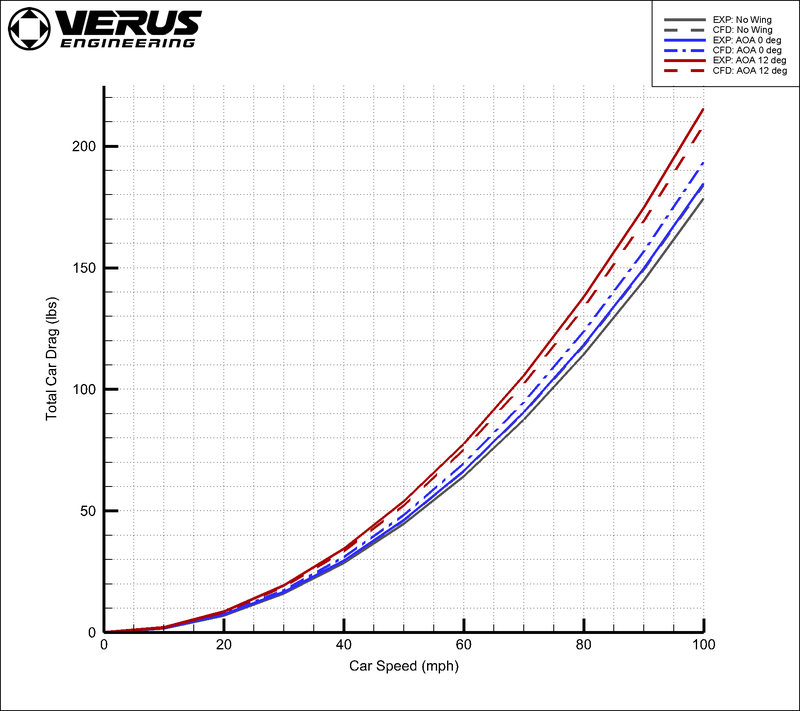 This is a % increase from the FR-S trunk with rear wing analysis. The factory spoiler improves airflow to the bottom side of the rear wing; which is the side that does the majority of the work. With the gurney flap installed as well, it increases high pressure on the trunk area which further improves downforce. 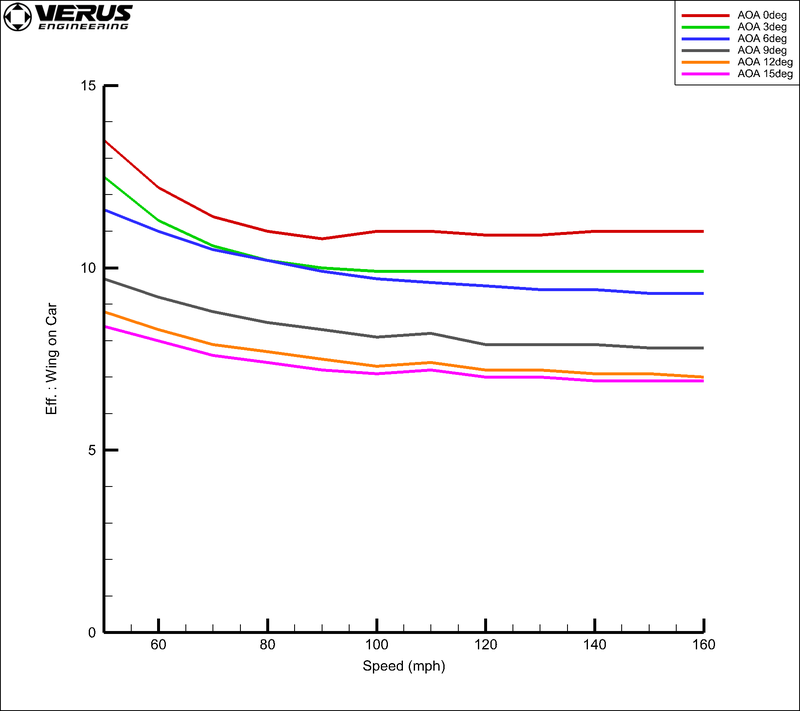 Results from the Perrin Gurney flap analysis can be read on our blog post or Perrin's website. I apologize for this taking so long; we've been slammed with orders and new product development. In the below post I have detailed out our informative packet basically; so that you don't need to go to our website to read it. There is still some data missing that we include in the info packet though but this is a nice synapsis overall and picture heavy . 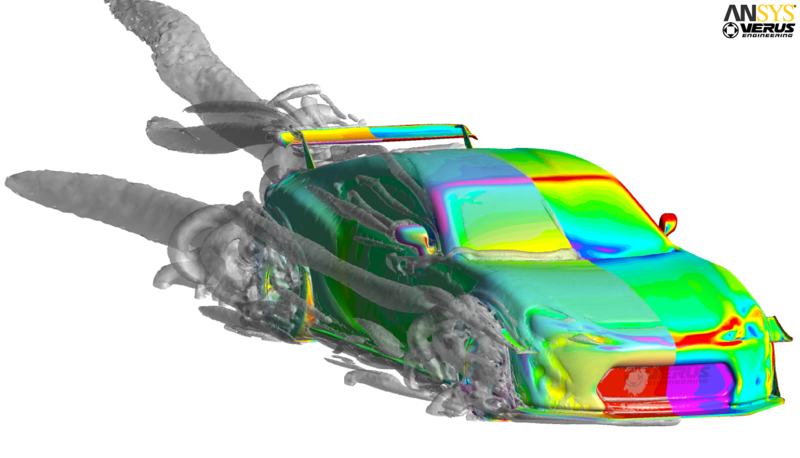 We have two sets of data: the wing in freestream airflow and then the wing on the car. 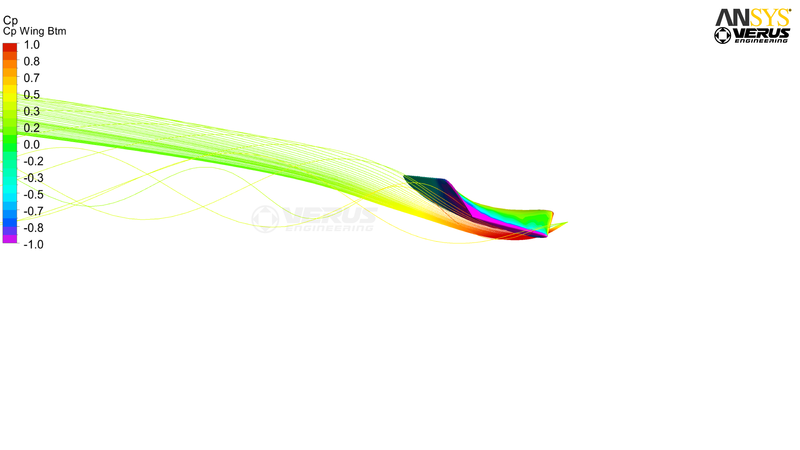 We then validated our CFD through a few means which is the final part of the thread post. Why do we publish free stream data on the wing when the performance of the wing changes on your FT86? By publishing this data, you can compare our data directly with other wings on the market who publish data. This will allow direct comparison of drag, downforce, and efficiency for the consumer to make the most informed decision possible. We take every effort to ensure accuracy when performing CFD analysis. Please be sure competitors are competent and using a proper software as well for accurate comparisons. Why do we publish data of the Low Drag Wing on the FT86 when this is not common in the industry? 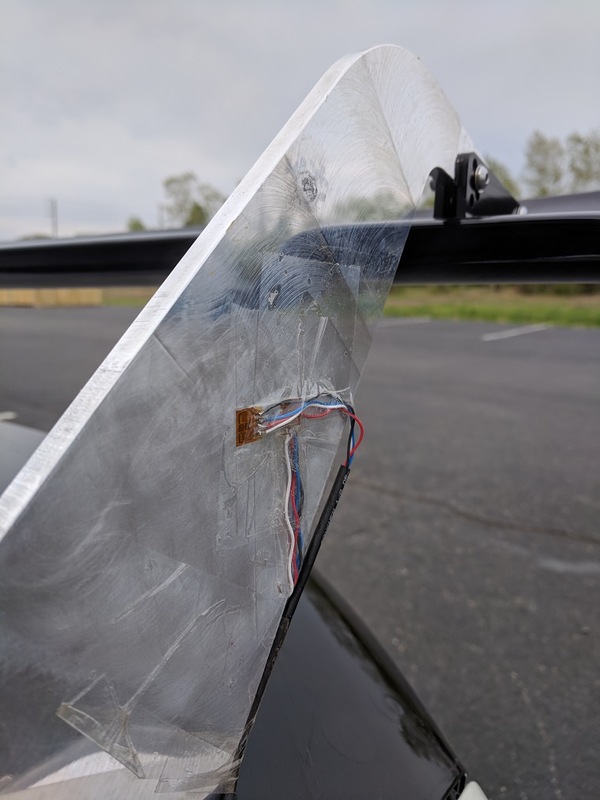 By publishing the data of the wing on the FT86, the customer will understand exactly how the wing will perform on their car. This is not common in this industry because it is very time consuming and involves a large amount of work. However, we feel it is the best way to present the data as it allows end users to understand what is happening with the vehicle. 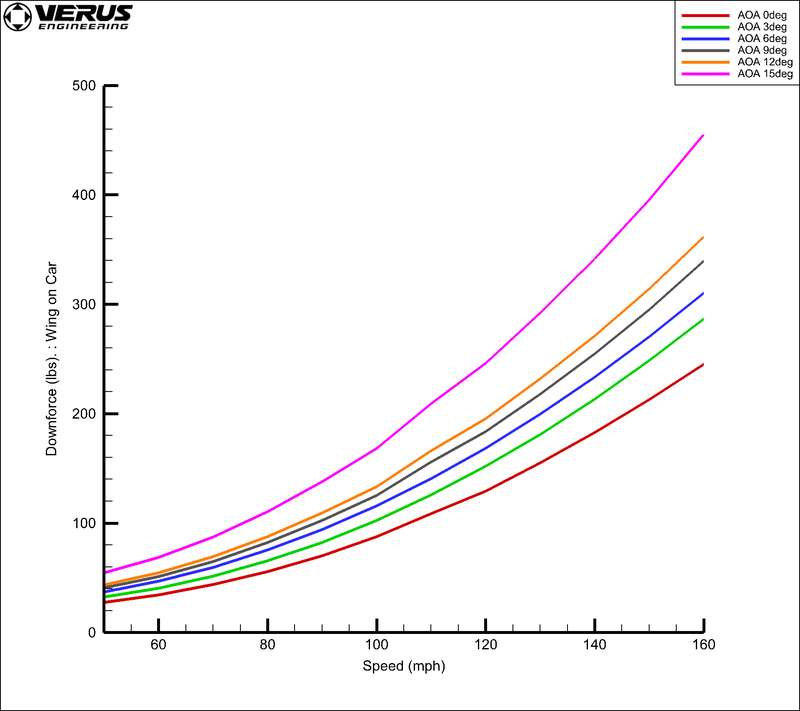 The below numbers are the results from what the wing generates on the car and only the wing. This was to show that performance was minimally impacted by our placement and upright design. 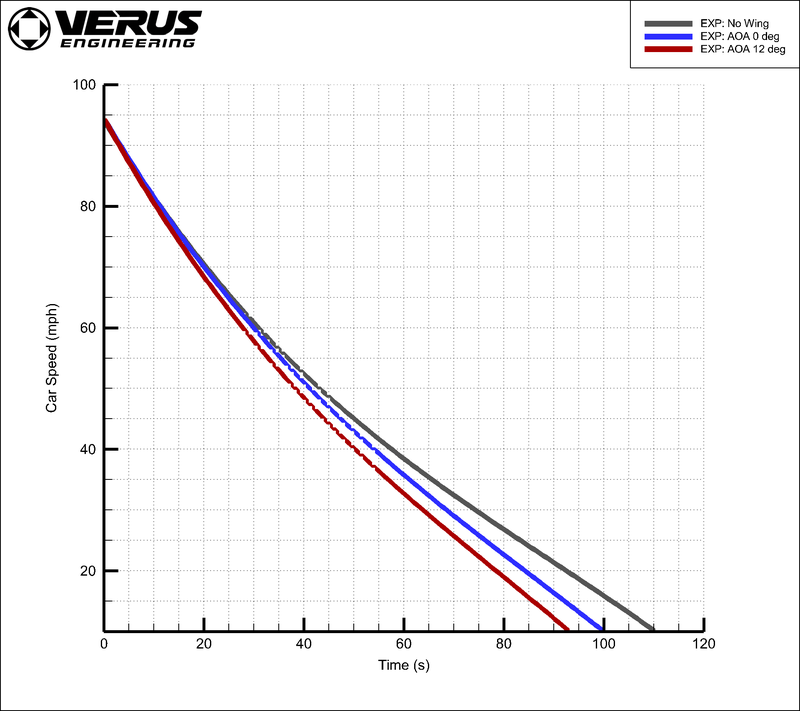 All the computational fluid dynamics used at Verus Engineering is completed using ANSYS Fluent. Fluent is considered to be the best commercial CFD software on the market and is used by many in the top-tier of motorsports including Red Bull F1. 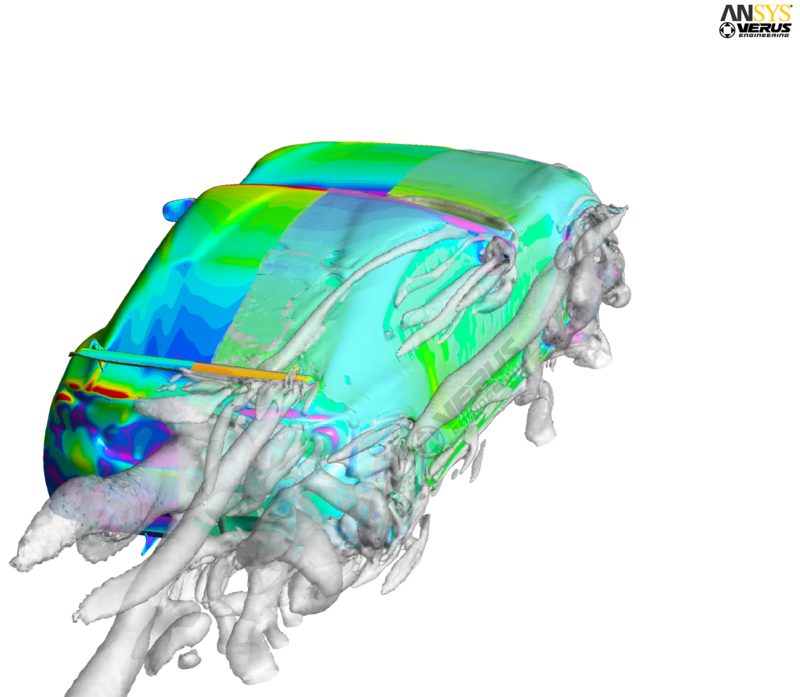 On every analysis, we ensure a proper mesh is created for the required results, proper boundary conditions, and proper turbulence models are used. 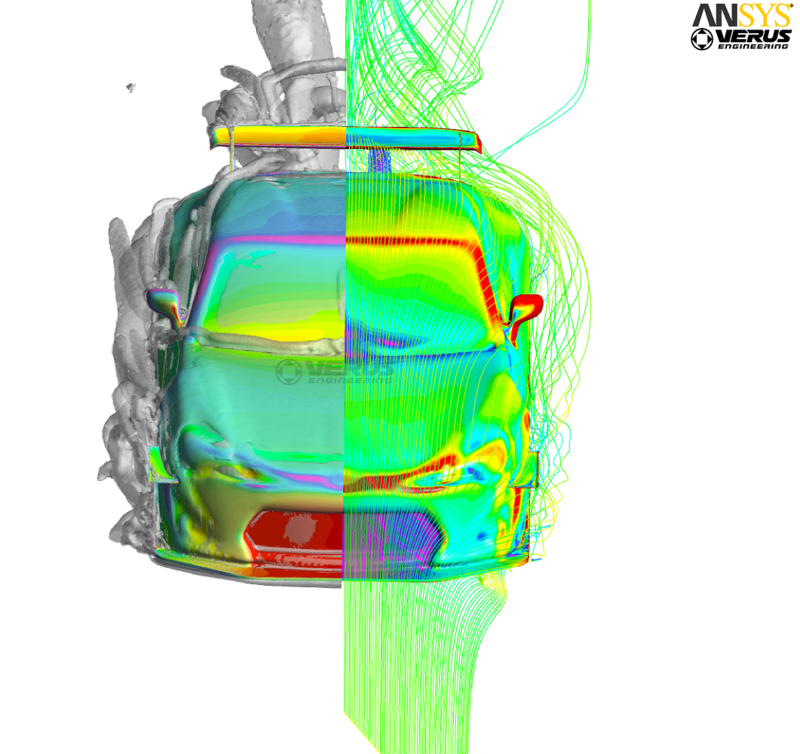 To further validate that our CFD is set up properly, we performed actual part testing on the car as well. 1) Strain gauges were placed on the wing uprights to measure downforce and drag forces. Strain gauges are used to measure the strain of a component, this data can then be calculated into forces. Strain gauges were used to measure the forces of the wing attached to the upright. 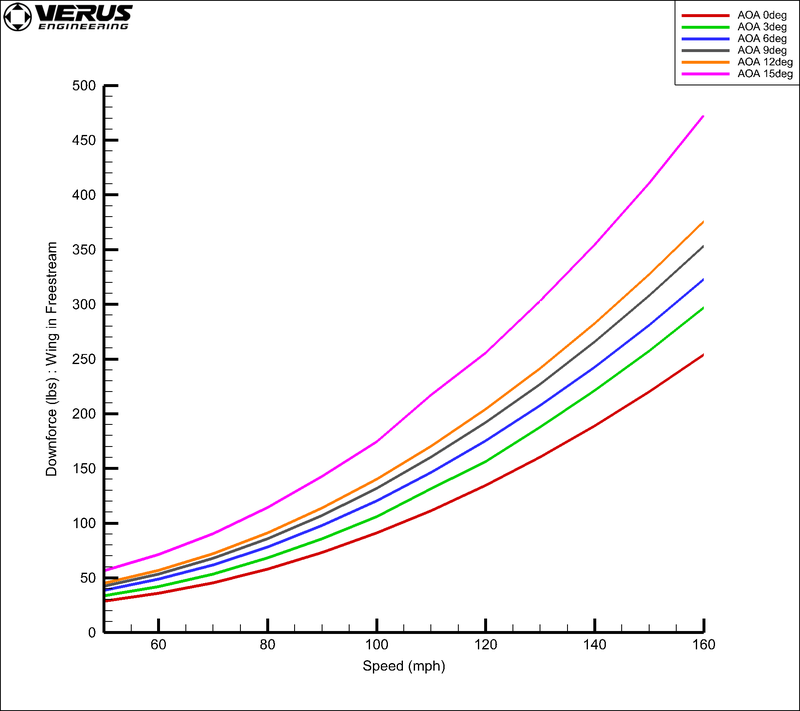 This data was then compared to the simulation results generated by CFD and FEA. The real world experimental values correlated with the CFD well. We followed the SAE standard of coast down testing as close as we could. We coasted down from 100mph to around 10mph with 3 different cases; no wing, wing at 0 deg, and wing at 12 deg. The data was recorded using an AIM data logger and 2 runs were done and then averaged. Elevation changes were ignored because it could not be accurately calculated. Runs were made on the same day, at the same location, back to back. From the coast down testing data, calculation of the coefficient of drag (cd) was completed. 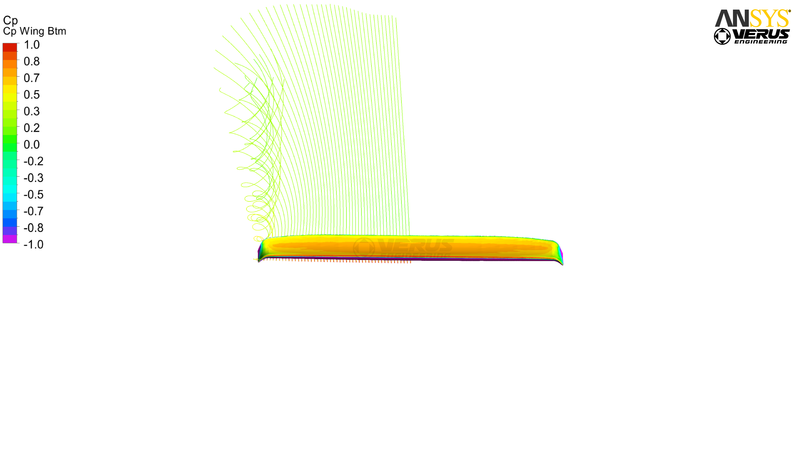 From this, the ability to compare simulated CFD drag to coast down testing drag was possible. I'm sure there will be questions, so please just ask below and we'll answer as quickly as we can! Assuming you have the Verus Race Frontsplitter with sideplates. Is there a recommendation for the rear wing's AOA in order to properly balance the car? Is three degree good? We recommend 6 or 9 degrees depending on your driving style and what feels better to you as a driver. 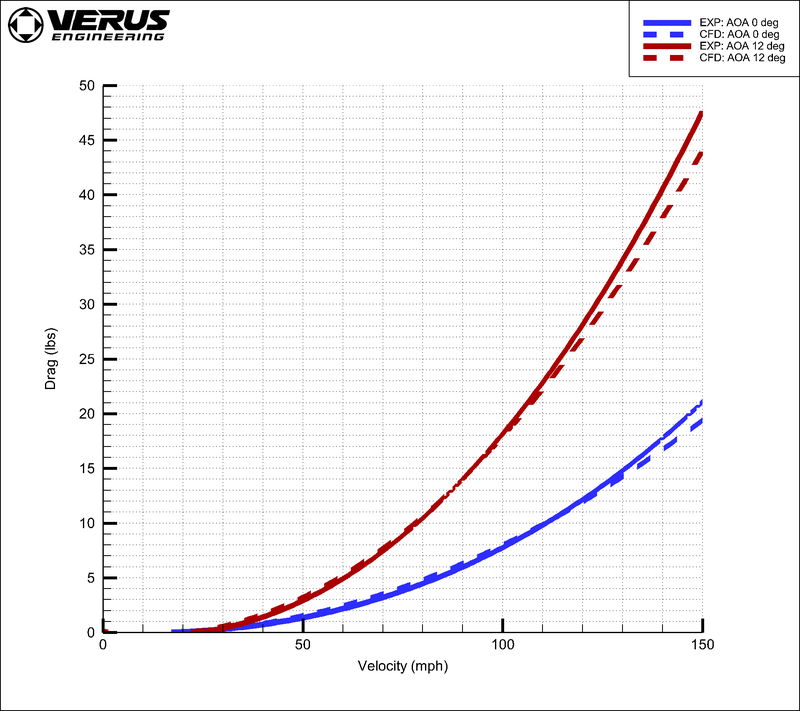 Both should provide a well-balanced car aerodynamically. It took me waaaayyy more than I thought it would... It ended up taking me 7 beers, when I thought it was going to take 2. Oh time? It took me 2 hours from opening the trunk to installed and fully adjusted. Super easy, and as always the instructions make it super simple. The only tip I have is to get some larger step bits (christmas tree bits) and you don't have to use the die grinder. I just drilled the 2nd hole out from the other side with a huge step bit I had and made sure to get the point centered in the first hole and I got some perfect holes for the mounts. Driving at speed in the rain is awesome seeing rooster tails in my rear view mirror. I cant wait to get a splitter and to get her back on the track. p.s. It's a Password JDM rear lip. Last edited by Hyper4mance2k; 07-13-2018 at 12:29 AM. The only thing I found with the step-bits is that sometimes they grabbed the thin sheet metal of the trunk, and caused it to distort. That's why I ended up going with the die grinder but I'm glad you didn't have any issues! Install looks great with the BRZ spoiler and gurney flap! I really like the picture of the front. I definitely can't wait to do it to my white trunk now, once she runs again. I think the wing looks even better at higher angles of attack. At 0, because of how highly cambered the wing profile is, the wing does not look like a typical wing. We "went live" on Facebook and Instagram one or two Fridays ago and answered some questions regarding the rear wing; as well as a few we have seen asked multiple times. Here's the video we created from it.